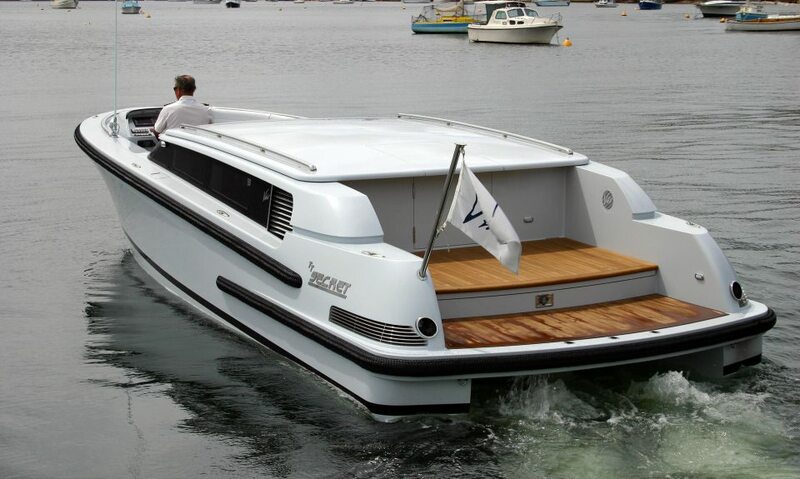 This 9.8m Limousine was a fun Tender to build for a great client. 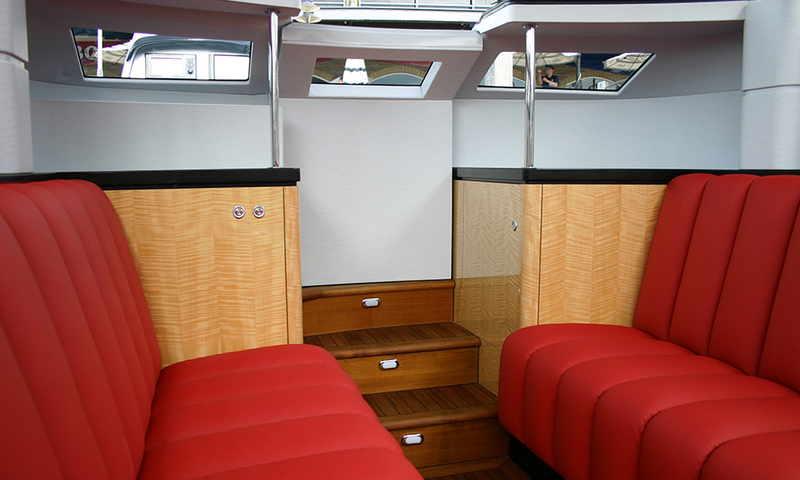 A Sam Sorgiovanni design, this Limousine had to fit into a very low transom garage. The client did not want height restrictions while boarding or disembarking so the retractable roof meets both criteria. 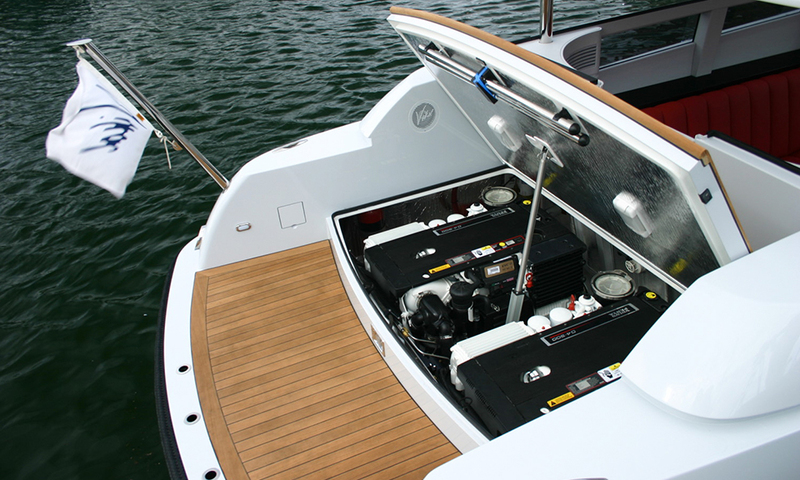 The roof is electrically operated and auto lockable at any height. 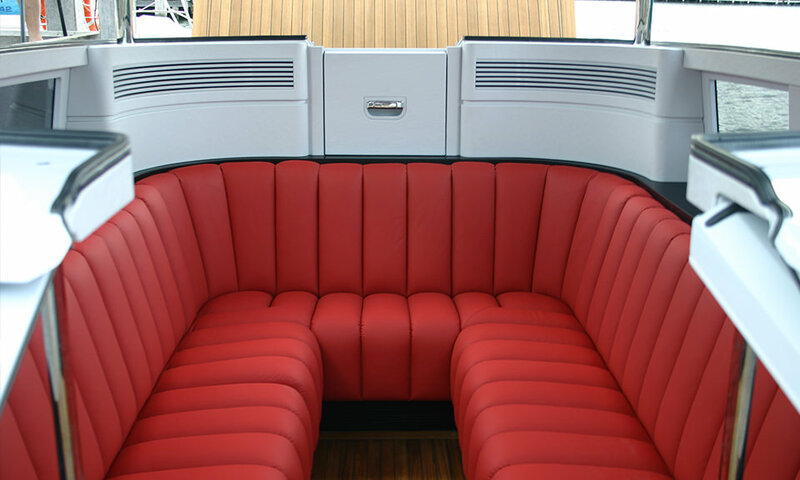 This allows easy access so the owner is able to control the airflow through the cabin when moving or stationary. 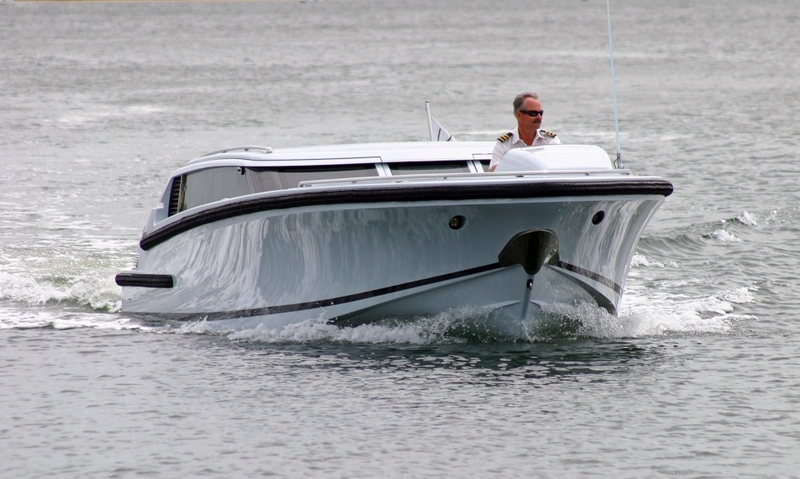 This low profile Tender is built in carbon fibre and modified epoxy. 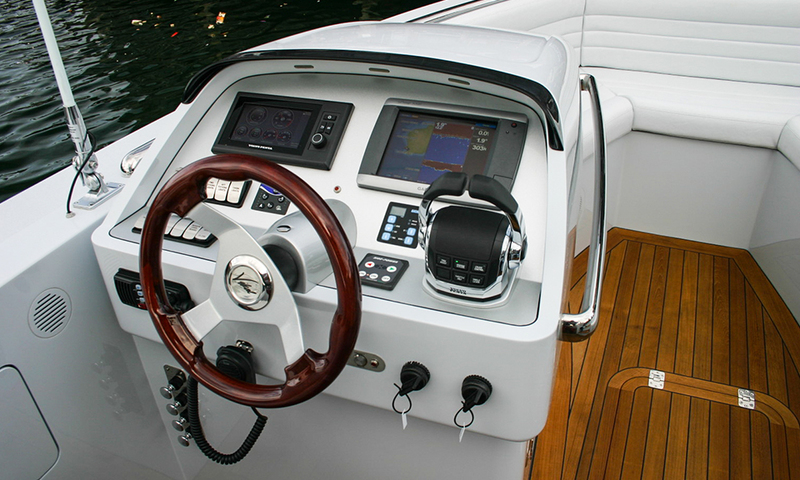 Fitted with 2 x D4 Volvo Diesels gives Secret an impressive top speed of 48 knots. The bright leather interior is a perfect match to the owners Ferrari as requested.